Furniture logistics operators in Germany are increasingly suffering from a lack of qualified employees. They raise salaries, but it’s still not enough. The costs are growing, and the pressure of the market is increasing due to the high demand for transport services. This is a problem that currently affects many sectors of the German industry. 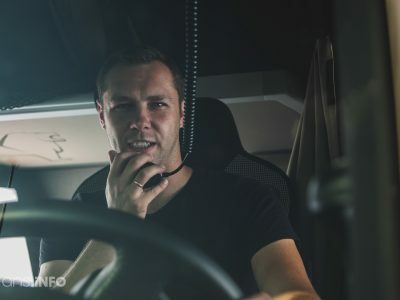 Therefore, according to the head of Raben Transport Poland, the current situation requires a change of approach, both to how companies attract the drivers and the organization of their work. The problem of the lack of drivers affects another of the German industries. After the FMCG sector, construction materials, ready-made vehicle logistics, and carton packaging manufacturers – another group of German entrepreneurs – the Furniture Logistics Association (Amö) reports a difficult situation related to the lack of staff. The organization conducted a survey among its members, which shows that 55 percent is in a difficult staffing situation, and 24.5 percent – very difficult. 10 percent of respondents believe that the problem of lack of employees threatens their functioning. 90 percent of respondents admitted that they are looking for truck drivers urgently (with C / C + E driving license). Due to the lack of personnel, companies from the furniture forwarding sector increasingly outsource scheduled transports to outside entrepreneurs and do not accept new orders. The companies are trying to fight the lack of staff – they give raises, offer additional benefits. Many enterprises are ready to accept even the lack of knowledge of the German language – according to the association’s survey. In the last two years, the lack of drivers has led to a pay rise of at least 10 percent, estimates Dr. Martin Ahnefeld, the vice president of the organization. Similar increases are expected over the next two years. Staff costs in the transport of new furniture, which usually takes place in a teams, account for approximately 50 percent total costs,” explained Ahnfeld during the annual meeting of the union. Added to this are growing road tolls, i.e. another 2-7 percent more. Many German furniture manufacturers, that is our customers, are also under huge pressure, so it is difficult to transfer transport costs to them, even if it is necessary,” admits the vice president of Amö. The organization’s biggest concern is distribution. Due to the boom in the Internet trade in furniture and the continuous shortage of staff, companies specializing in this type of transport cannot keep up with the needs of the market. Some of them are even considering withdrawing from the industry. Limited transport resources and fast-growing costs of road transport services are a reality that we have been confronting for over a year. Both demand and supply factors influence this. 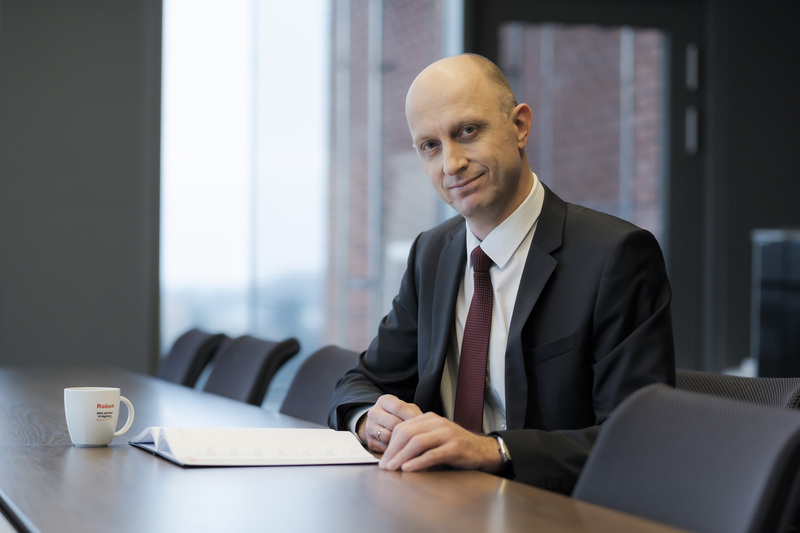 The European economy is experiencing a period of prosperity, so commodity exchange is increasing, and with it the number of orders” – says Paweł Trębicki, general director and vice president of Raben Transport Poland. General director Raben Transport notes that in previous years, the transport industry usually responded to greater demand quite flexibly, although with some delay. This usually happened within 3 to 6 months, a transition period necessary to purchase additional cars and recruit staff. This time the situation looks different. Supply has certainly not caught up with demand, resulting in serious disruptions in supply chains and rising service rates. There are many reasons for this „- adds Trębicki. According to Trębicki, in the broader perspective, carriers are afraid of investment, not quite believing in the stability of economic growth and favorable conditions for business development. Firstly, the assessment is always subjective and individual. Secondly, we have to remember with how many national and European regulations the industry has recently been confronted. One of them, the implementation of the EU directive on posting of workers in international transport, is still an open topic, giving rise to many fears for the future. In such an environment, it is difficult to stay optimistic, which is necessary to make investment decisions with a long-term horizon. 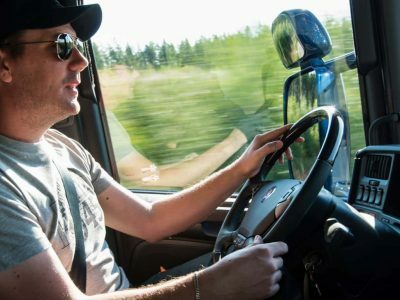 Carriers have the impression that obstacles are being put in their way, and instead of incentives and support for the development of activities, only a catalog of possible prohibitions, offenses and penalties is extended,” says the head of Raben Transport Poland. Going down to the operational level of the company, according to Trębicki, it is important to pay attention to the lack of drivers and growing costs of remuneration. On the one hand, demography is one of the factors which determines the current situation: experienced drivers in advanced age are retiring. On the other hand, he emphasizes the lack of a sufficient number of new candidates for the profession. 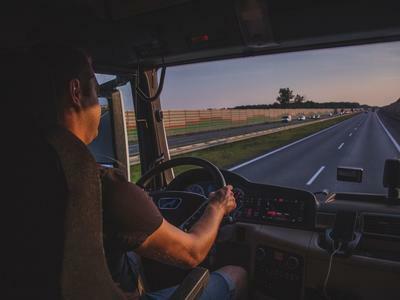 According to the head of Raben, the training system thanks to which drivers can acquire the necessary qualifications is failing here, as well as insufficient facilities for the admission of employees from abroad. A professional driver can count on an attractive salary today, often representing even twice the average salary in the country, but it is hard work. Separation from family and relatives, hours spent on loading and unloading, time lost in traffic jams, poor parking infrastructure, lack of proper access to the sanitary and food facilities, or the expected sense of security. These factors certainly do not encourage the choice of the driver’s profession. In addition, the record-low level unemployment increases the number of alternatives available. In the case of drivers there is an additional opportunity to take up employment abroad, where the demand is equally high,” notes Paweł Trębicki. According to Director General of Raben Transport, the current situation in the industry requires a change of approach to the driver and organization of his work. As a result, carriers must not only accept higher nominal wage costs to get drivers, but also in the context of the expectations of the new generation of drivers, fundamentally rethink the change in the organization of work. The times when the driver accepted spending many weeks on the road, taking orders all over Europe, is no longer sustainable. Today, an increasing number of drivers would like to spend each or every other weekend at home. This leads to accumulation of personnel costs, not only wages but also the number of employees needed to perform the same tasks as many years ago,” comments Trębicki. To this end, they shorten the waiting periods under loading and unloading, improve forecasting, adjust the hours and days of orders to the specifics of road transport. In this way, they not only provide a sufficient number of cars for loading, but they also reduce transport costs because carriers see the benefits they offer,” explains Trębicki. According to him, this approach is certainly worth considering, also on the local ground. Personally, I do not see any alternatives, especially in the context of the peak season we have just entered. Both sides have to look after each other’s needs, see the mutual limitations and look for the best solution together. It will not be cheaper any more, but there are costs that can be avoided by acting together. I am afraid that without a change in attitude, some entrepreneurs may have big trouble this autumn to ensure the availability of their products on the shelves,” emphasizes Paweł Trębicki.